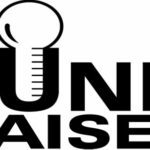 Super Saturday Fundraising. The Ovarian Cancer Research Fund’s 17th annual Super Saturday benefit hosted by Kelly Ripa and Donna Karan. 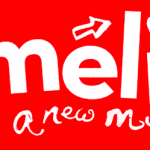 Amélie Photo Booth in Sherman Oaks, California Recently, Classic Photo Booth installed a digital photo booth at a Westfield mall, located at Sherman Oaks, California for a contest to win Amélie Musical tickets (Amélie Photo Booth)! 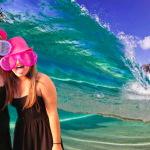 Sweet Sixteen Photography with Green Screen Backdrop Sweet Sixteen Photography this past weekend for Melissa’s Sweet 16 where guests were lucky enough to try out Melissa’s green screen activities! Reese Witherspoon’s 40th Birthday Party Classic Photo Booth What better way to celebrate a milestone birthday? So the Reese Witherspoon Photo Booth was a blast! 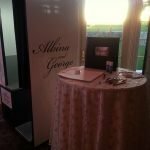 We are proud and honored to have provided one of our photo booths for her special day! Our Photo Booth was in a Ralph Lauren Photo Shoot! 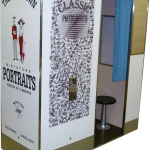 Ralph Lauren Photo Booth used Classic Photo Booth for one of their iconic photo shoots! 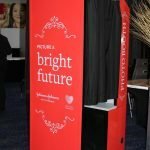 Johnson & Johnson Digital Photo Booth! 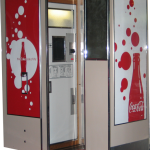 A Beautiful Red Booth for Johnson & Johnson! The Johnson and Johnson digital photo booth was a hit! 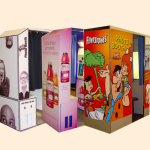 We provided a very beautiful custom wrapped booth for Johnson & Johnson. 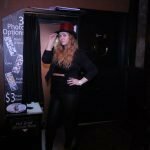 Birthday Digital Photo Booth Party! 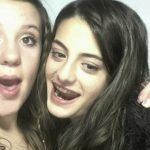 Sarah’s 12th Birthday Party Includes a Digital Photo Booth! 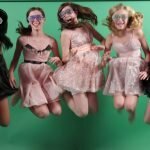 Sarah turned 12 and she celebrated with a Birthday Digital Photo Booth at her party! Sarah’s 12th birthday will be remembered forever amongst her friends thanks to our digital photo booth. 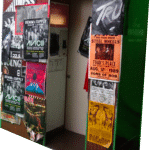 MOD Pizza Grand Opening in Valencia, CA included a Photo Booth Digital Photo Booth Mod Pizza opened in Valencia, CA on Thursday March 12, 2015. 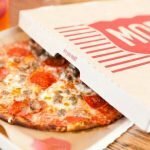 They celebrated in a great way at their grand opening event with a Mod Pizza Digital Photo Booth! Classic photo booth at wedding! Photo Booth Love at the Wedding! Photo Booth love is a fabulous addition to any event. I cannot even begin to tell you how many emails and letters I have gotten that all say. The photo booth was the hit of the night! Photo Booth Tony Hawk for Skateparks event in Las Vegas, Nevada Photo Booth Tony Hawk In November 2009 from Classic Photo Booth LLC in Las Vegas, NV at The Wynn for event. Custom Photobooth for UPenn Relays at 2010 Custom Photobooth for UPenn held their annual Penn Relays from April 22-24, 2010. 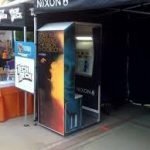 Classic photo booth provided a custom wrapped photo booth sponsored by Nike to capture all the fun! Green Screen Evolution Green Screen evolution? With cameras and computers everywhere in our modern world. So it’s easy to forget that the very first motion pictures were, themselves, essentially a special effect. Fundraising Photo Booth With CCOC.net The Classic Photo Booth Fundraising Photo Booth. Chabad’s Children of Chernobyl (“CCOC”) threw a sock hop at 92Y TRIBECA. 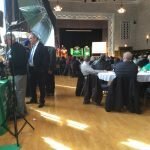 It was an effort to raise money for their organization. Instyle Magazine Super Saturday Photo Booth Super Saturday is an event held annually in the Hamptons sponsored by Instyle Magazine. So the serves as a way to raise money for ovarian cancer research. Therefore the event includes, games, prizes, a carnival, and most importantly, a garage sale of over 200 designers! American Idol Photo Booth – Taylor Hicks Season We provided a photo booth for the American Idol finale after-party in Hollywood, California (sponsored by Coca Cola) which was nicknamed as the American Idol Photo Booth. Bell House digital photo booth for Whole Foods Corporate Event The Bell House Digital Photo Booth was used for Whole Food’s Friday Night Corporate Event included our very own Digital Photo Booth along with some Scrapbook fun. Clothing Store Event Clothing store event for Mitchells of Westport, Connecticut and Huntington, New York with the backdrop photography. 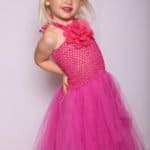 Saks 5th Has Lots Of Fun At Event With Green Screen Photo Shoot Green Screen Photo Shoot for Saks 5th Event Green Screen Photo Shoot allowed all of the customers to take photos using our green screen technology. 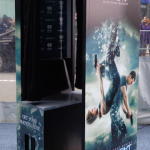 Custom Photo Booth for Insurgent Movie Premier Classic Photo Booth provided an Insurgent digital photo booth for the premiere of Insurgent. 48 Lounge Custom Wrapped Digital Photo Booth in New York, NY Check out the custom 48 lounge photo booth wrapped at the 48 Lounge in New York City! 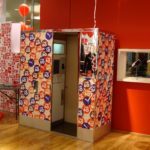 Custom Digital Photo booth for Rihanna’s First Baby Birthday! 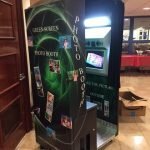 We provide a custom digital photo booth for Rihanna’s goddaughter Majesty, first birthday (Rihanna Photo Booth)! NJ Lottery Replay for Million Dollar NJ Lottery replay Million Dollar (New Jersey Lottery green screen) was a blast! The guest loved the idea of the green screen. They had the options to choose from many backgrounds, perfect for a “Millionaire”. Gotta love NJ Lottery! 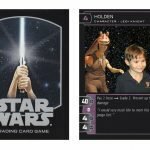 Star Wars Novelty Trading Cards Use our green screen photoshoot services to create Novelty‬ Trading Cards‬! The kids loved taking pictures with next to the Star Wars characters. Dior Rouge Photo Booth Event for Dior in California Had Both Classic and Digital Photo Booths Dior rouge photo booth event in California. 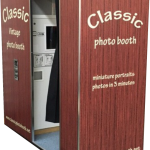 Look how lavish our ‪‎custom ‎classic ‎photo booth looks. 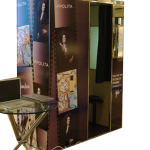 We also provided our slick custom ‎digital photo booth. 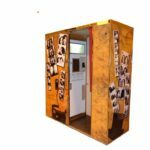 Everyone loved taking pictures in our photo booths. 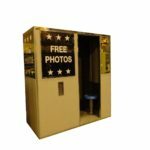 Photo Booth Photos Three Reasons Why Photo Booths Are Making a Comeback Photo Booth Pictures for most people have memories when they attend a celebration and making silly faces in a free standing photo booth. Wedding Photo Booth at Trump National Golf Course in Bedminster, NJ At this gorgeous wedding, Albina & George had a custom wrapped digital photo booth (Wedding Photo Booth). 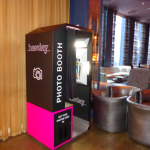 Wedding Photo Booth at Bridgewaters in NYC “Everyone had a BLAST in the Bridgewaters Wedding Photo Booth – it was definitely a high point of our wedding,” said Bride Megan. 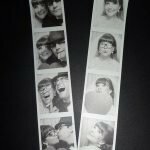 The classic photo booth was perfect for this Mad Men themed wedding! A letter from a HAPPY CUSTOMER! 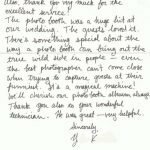 We love to read letters from our photo booth happy customers. Our goal is to have a customer satisfied with our service! Read our Photo booth Happy Customer Letter Below. 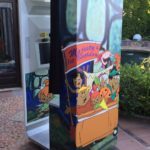 Five Incredibly FUN Party Idea Once in awhile you read about lavish parties at celebrity hot spots in New York or Los Angeles, and you wonder: Why can’t my event be like that? 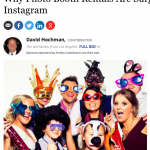 We have put together an incredibly FUN party idea or FIVE for you in this article.